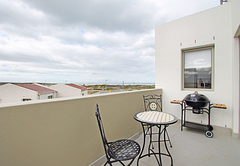 Regal Loft Muizenberg East Beach is a property providing self catering in Muizenberg for up to 4 guests visiting the False Bay region. 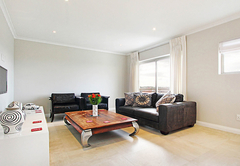 Regal Loft Muizenberg East Beach provides great value holiday accommodation for a small family. 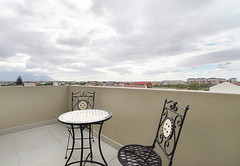 The apartment is perfectly situated across from Muizenberg East Beach, the waterslides and putt putt. 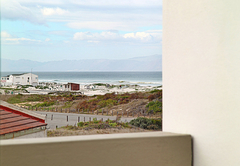 Regal Loft Muizenberg East Beach is a self catering apartment with two bedrooms and one bathroom. One bedroom is furnished with a double bed and the other has two single beds. 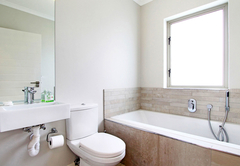 There are two modern bathrooms, one with a shower and the other has a bath. Bed linen and towels are provided. The modern, stylishly furnished apartment has an open plan living area which is comprised of a seating area with a TV and a dining table. 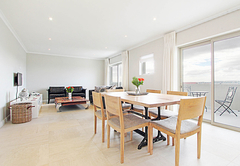 The living area opens via sliding doors to a balcony with a table and chairs and barbeque facilities. 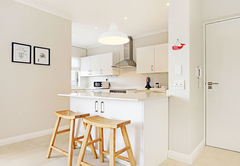 The kitchen is well equipped for self catering and includes a washing machine, tumble dryer and dishwasher. 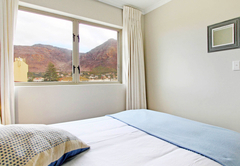 Regal Loft Muizenberg East Beach is a self catering apartment with two bedrooms and one bathroom. 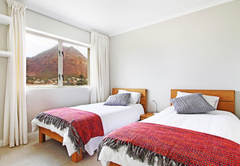 One bedroom is furnished with a double bed and the other has two single beds. 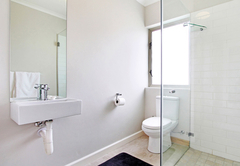 There are two modern bathrooms, one with a shower and the other has a bath. Bed linen and towels are provided. 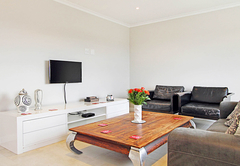 The modern, stylishly furnished apartment has an open plan living area which is comprised of a seating area with a TV and a dining table. The living area opens via sliding doors to a balcony with a table and chairs and barbeque facilities. 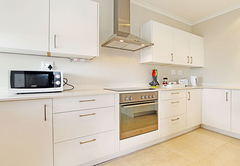 The kitchen is well equipped for self catering and includes a washing machine, tumble dryer and dishwasher. Secure parking is available. 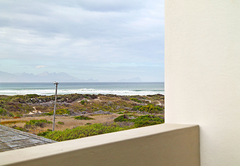 Response timeRegal Loft Muizenberg East Beach typically responds to requests in 5-10 minutes.